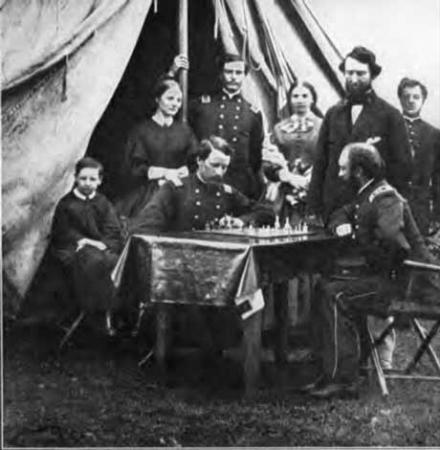 This photograph shows a game of chess between Major-General Martin T. McMahon and a brother officer, in the spring of 1864 just before the Wilderness campaign. 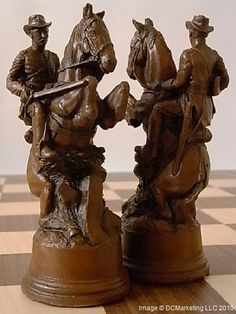 Chess was also fashionable in the Confederate army, and it is recorded that General Lee frequently played chess with his aide, Colonel Charles Marshall. Or, Here Comes the Cavalry! 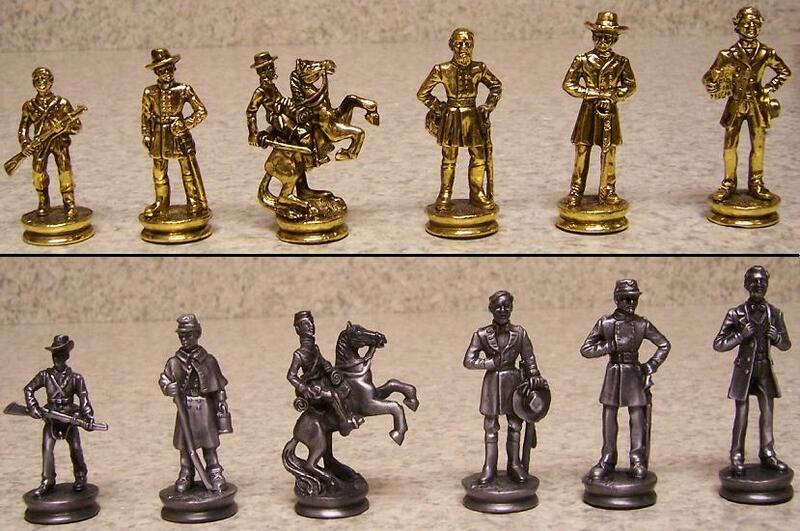 ​ To the right is a position from a game played between General Philip Sheridan and General George Custer. General Sheridan is playing white, and it is white's move. 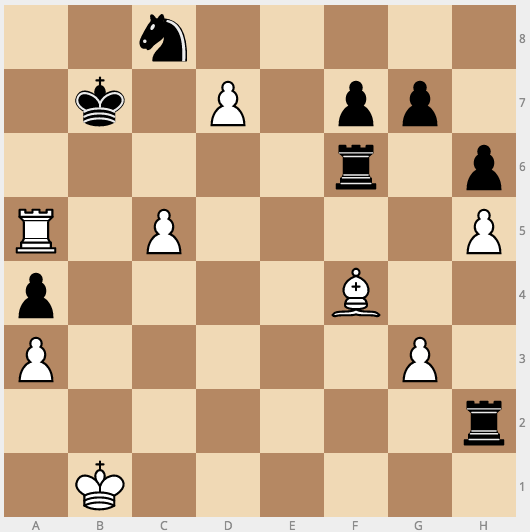 He was able to win the game in a single move--can you? After the move, General Custer, in checkmate, reportedly smiled graciously, shook hands with General Sheridan, and said, "Here comes the cavalry!" Answer the chess question privately with Mr. D. to earn a pawn promotion to celebrate your Breakout EDU victory! 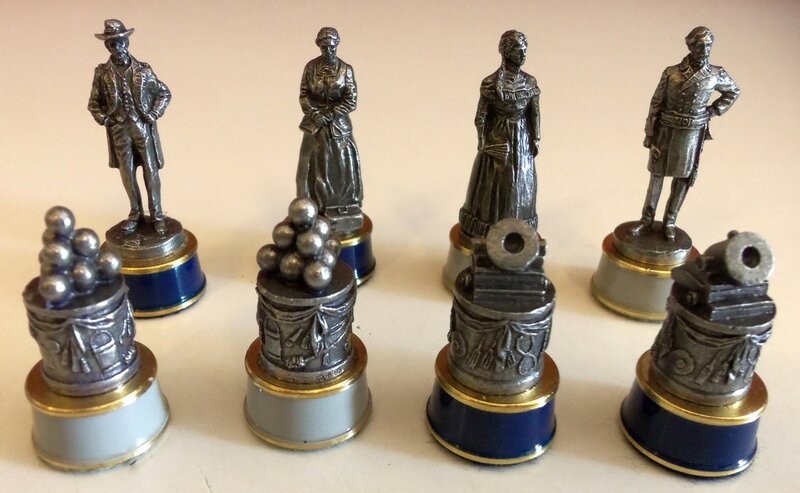 Americans' interest in the Civil War (or War Between the States) extends to many chess sets designed to have the figures represent historical personalities and symbols of Northern and Southern ways of life as well as Union and Confederate uniforms. 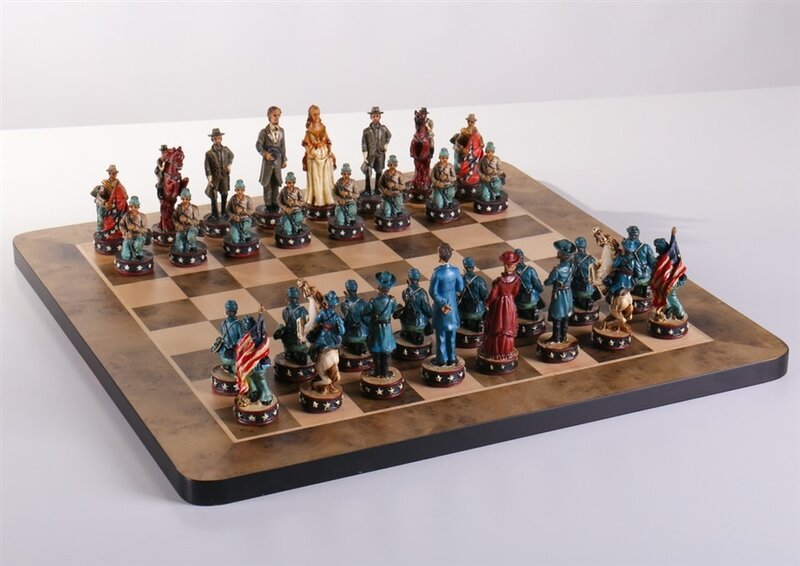 Perhaps also there is the perception that the American Civil War, more than others, was a struggle where the two sides were so evenly matched, just as the chess pieces are on the symmetrical board. Many of the officers and soldiers knew their adversaries very well, having served and worked with them before the war. Many had relatives on both sides of the Mason-Dixon line.